What are you waiting for? 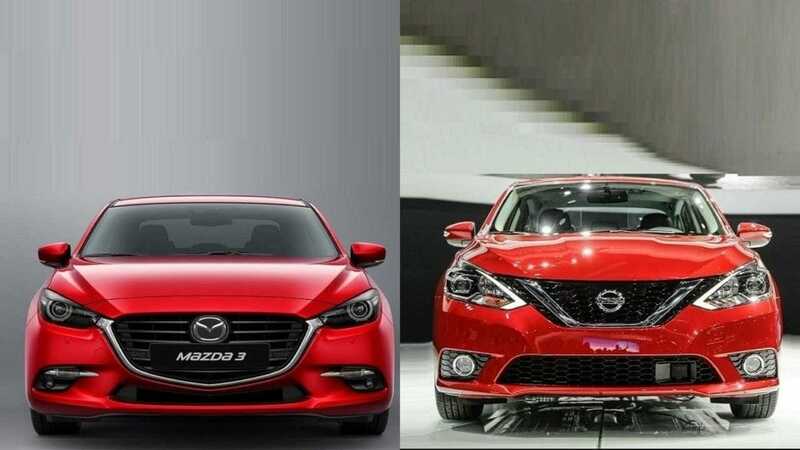 Head over to Island Mazda near Staten Island, New York to compare the 2017 Mazda3 Vs. 2017 Nissan Altima. The Mazda3’s sport seats are contoured to mold perfectly to the body, giving you and your passengers a more comfortable and connected ride. No matter how long the commute. Adding to the Mazda3’s high-end appeal are its sports seats—available in cloth, leatherette, or dual-stitched leather—which are as carefully crafted as they are beautiful. When we set out to redesign the Mazda3 cabin, we did it with the driver in mind – each step of the way. We considered every detail that could make the driving experience better. We reimagined everything from the seats, center console, full-color Active Driving Display, and instrument panel down to the door pockets and handles. The goal was to create a more sophisticated, intuitive interior that revolves around the driver. The redesigned exterior of the Mazda3 4-Door is the true epitome of KODO design. Its sleek, sporty contours tell you everything about how it drives. Without ever getting behind the wheel. Not to mention, its new front fascia, available 18” alloy, LED headlights, and refresh front grille elevate its styling to a whole new level. The premium exterior design of the Nissan Altima, from the powerful lines to the available LED headlights, is a modern vision shaped in the wind tunnel, then achieved through innovative manufacturing processes. The result? A beautifully designed sedan that turns heads as much for its looks as it does for its craftsmanship. Altima’s aerodynamic exterior design is further enhanced by the available Active Grille Shutters that automatically close at highway speeds to decrease wind resistance and boost efficiency. The redesigned grille gives the Altima a more aggressive, signature look that hints at this vehicle’s thrilling capabilities. Altima’s available LED headlights with integrated signature make an unforgettable impression – day or night. Nissan’s premium taillights are brilliant not only for their stylish, integrated design, but also for their incredible visibility. Head over to Island Mazda near Staten Island, New York to test drive and compare the 2017 Mazda3 Vs. 2017 Nissan Altima.